A little look at how my house is coming along! The painting is nearly complete and the new gutters have been installed! I'm loving how it looks! The side entrance here is the one we use the most. 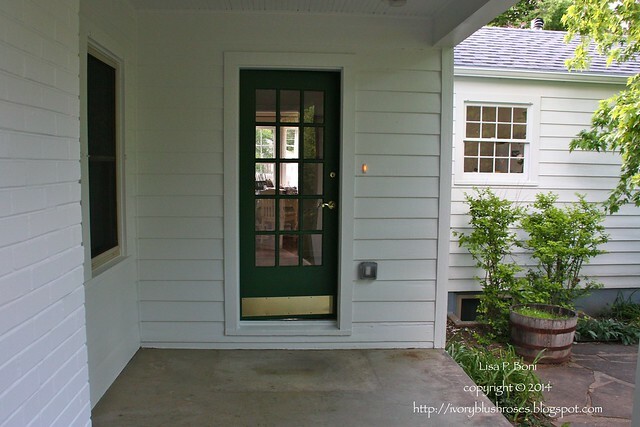 The white paint has brightened up the previously dark porch and the green paint on the door shows off the brass door hardware that was hardly noticeable before. And that bay window that was in such sad shape? It looks glorious now! 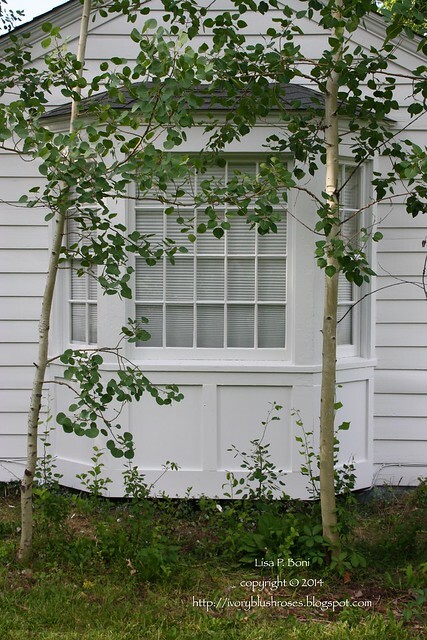 The painter did a fabulous job of repairing the damage and making it look top notch! 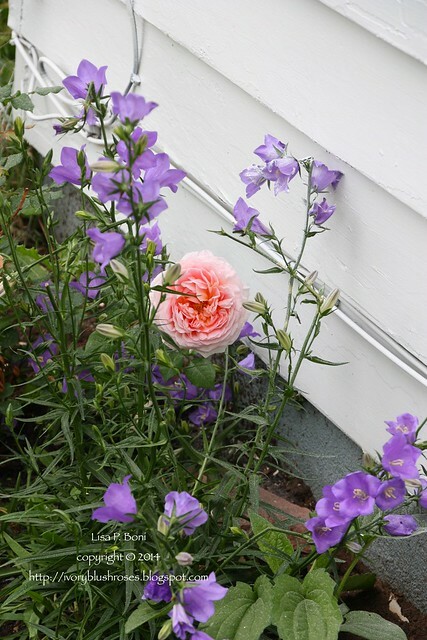 Even the paint spattered roses and campanula along the front walk are looking happy with their lovely new backdrop! The peonies in the yard have been fabulous this year! So glorious! I had to make a spring header for the blog with them! Now if I could only share their exquisite scent with you! 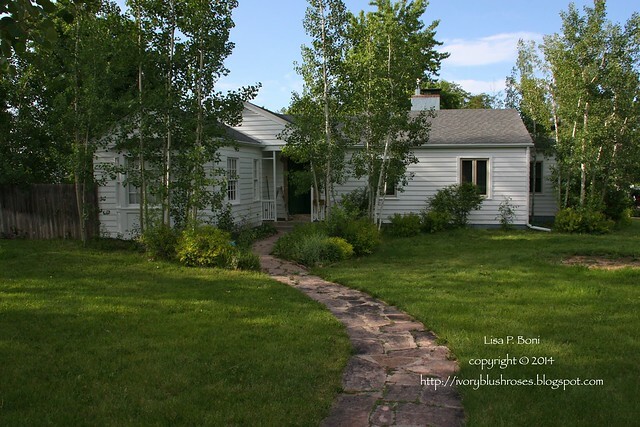 This place more and more reflects your gracious and serene aesthetic...just lovely, Lisa! I love your homes lovely new look. 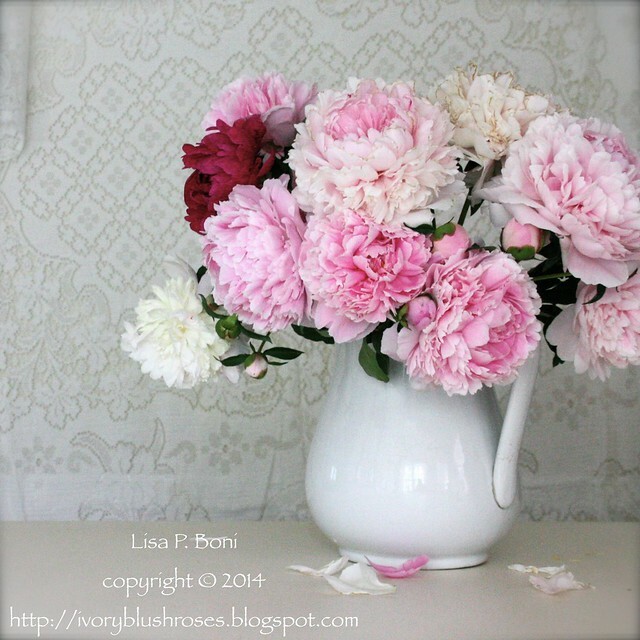 Your peonies are beautiful and make a lovely header picture. So So YOU!! Just Lovely. Your home looks so lovely! I admire everything is always done by yourself and your own friends' or family's help!